Oregon Scientific CF8410 HEPA Air Purifier $53 at Home.woot! 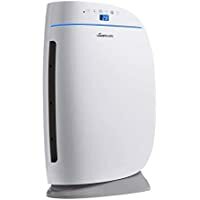 Rowenta PU6020 Intense Pure Air XL Air Purifier $180 at Home.woot! Tip: Avoid low or no feedback sellers, search and select "Buy It Now" tab and sort by lowest price. You may modify min price to filter accessories to get Air Purifier Home Coupons auctions.